By Robert Adams Robert Adams is the author of multiple books, including Finite and Infinite Goods. More than one person has credited Adams with resurrecting Divine Command Theory among philosophers of religion. In this chapter, Baggett and Walls focus on deontic moral concepts, which include moral permissibility, moral obligation, and moral forbiddenness. Such are also expressed as moral duties (right/wrong). First, they point out that moral obligations are not identical to feelings of obligation. The feelings of obligation are neither necessary nor sufficient for moral obligations. One might have a moral obligation to do X without feeling so. One could also feel obligated to do X without actually having a moral obligation to do X. Hence explaining one's feeling of moral obligations is not sufficient to explain moral obligations themselves. Baggett and Walls start by visiting a few ways of understanding the nature of moral obligations. Scott M. James lists these truths about moral judgments: (1) Moral creatures understand prohibitions; (2) moral prohibitions appear independent of human desires and (3) human conventions; (4) moral judgments are tightly linked to motivation; (5) moral judgments imply notions of dessert (punishment is justified); (6) moral creatures experience a distinctive affective response to our own wrongdoing, and this response often prompts us to make amends for the wrongdoing. Robert Adams identifies two features responsible for guilt. The first is based on the harm caused to, and the second is alienation from, people. He regards obligations as a species of social requirement, and guilt consists in alienation from those who have required of us what we did not do. Adams of course does not think that every social bond results in obligations, only a morally good one. How good the demand is, who the demander is, and the consequences of the demand all plays a role. C. Stephen Evans similarly lists four features of moral obligations: (1) A judgment about a moral obligation is a kind of verdict on my action; (2) a moral obligation brings reflection to closure; (3) a moral obligation involves accountability or responsibility; and (4) a moral obligation holds for persons simply as persons. In sum, moral duties are not mere suggestions, or merely prescriptions there are excellent reasons to fulfill. Moral obligations possess authority (which gives us decisive reasons for action) and are inescapable (applying to persons with few exceptions). Moral laws are what we must do, not in the sense of the causal must (like the physical laws), but of the moral must. Violating moral duties also results in an experience of guilt (rather than shame or degradation). Now Baggett and Walls move to various accounts that attempt to explain moral obligations. First is the functionalist approach advanced by primatologist Frans de Waal. De Waal argues that social primates have tendencies to prosociality, altruistic behaviors, community concern, and aversion to inequality. He thinks that the weight of morality comes not from above but from inside of us. So he thinks that morality has its origin in evolutionary history. What distinguishes human morality from the prosociality, altruism, and empathy with other primates is our capacity as humans to reflect about such things. The problem is that when it comes to accounting for moral obligations, de Waal either (1) eschews their importance, by arguing that moral feelings provide better moral reasons to act than do obligations; or (2) does not explain moral obligations at all, but merely our feelings or sense of moral obligations. Regarding the first strategy, while he may be right to say that moral motivation should come from higher moral impulses (as most virtue theorists would agree), he still needs to explain the existence of moral obligations themselves. The second strategy also does nothing to provide an explanation of moral obligations themselves, only a feeling of obligation. What he calls "morality" isn't moral truths; rather, they are moral beliefs, feelings, and practices at most. He has fallaciously conflated feeling obligated with being obligated. Even moral skeptics can affirm what he has said. In fact many moral skeptics argue that since naturalistic evolution can explain why we have moral beliefs, without any reference to their truth, there is no reason to affirm moral realism. Furthermore, others like E. O. Wilson and Michael Ruse have argued based on a naturalistic evolutionary account that if humans had evolved differently, we could have quite different ethical beliefs. Hence this leaves morality redundant. Another evolutionary account comes from Philip Kitcher, who offers a naturalized virtue ethic. On his view, evolution gave us certain capacities to empathize with others. These faculties are limited and morality has for its function to extend such empathy. What we morally ought to do follows from the traits we ought to develop, which depends on the sorts of creatures that we are. Rather than explaining moral obligations, however, Kitcher explains them away. On his account, it is a good idea to follow certain rules, and to coerce the unwilling to follow them, in order to maintain functional harmony. This is merely prudential and far from moral obligations. Scott M. James offers yet another evolutionary account. He takes on a response-dependency view, allowing him to affirm that moral facts are real, though mind-dependent. He thinks that this can be done in a way that makes moral facts objective. He adopts a tracking account that says our minds evolved in the way they did because they were tracking moral facts. His proposal has two parts. The first part talks about how we developed a special sensitivity to how others would view our behavior. He thinks the evolution of our particular moral sense was the result of the recognition of facts about hypothetical agreement. He claims that we first evolved a disposition to consider how others would likely react to our behavior. This allowed cooperation. However, keeping track of the responses of others would be a challenge. The solution is to ask this hypothetical question: if your counterpart were only seeking principles that all could agree to live by, would he have any reason to condemn your behavior? Over time, we became only concerned with the evaluations of a hypothetical observer. By the time modern humans evolved, we had moral minds that place special weight on how others would respond to proposed courses of action. Second, many primate societies and extant hunter-gather tribes have a strong tendency towards egalitarianism (the view that supports equality). Third, certain studies suggest that the earliest (recognizably) moral communities exemplify the social contract tradition of morality. Finally, there is cross-cultural evidence of this. In the second part, he lays out a metaethical story about what moral judgments are and about what makes them true. On his view, an action is wrong just in case others (who have an interest in general rules governing behavior) would tend to object to that action. Baggett and Walls have a few worries. First is a Euthyphro dilemma problem. Is an action right because hypothetical observers say so, or do hypothetical observers say so because it is right? Baggett and Walls are skeptical that what hypothetical observers say becomes true because they say it. Rather, hypothetical observers would say it because it is true. Second, some empirical evidence that James cites underdetermine the answer to what is at question here. Even if something that externally looks like a social contract is empirically verified in the earliest moral communities, the question of what makes something right/wrong has still not been answered. The social contract can be based on a shared recognition of objectively true moral principles (independent of the social contract). Lastly, this still does not account for the strong sense of moral obligations which includes, guilt for violation, its binding authority, and the like. What about Adams’s claim that we can fix the reference of ‘good’ by the evaluations of most of the people most of the time? His analogy is water, which people refer to regularly; what constitutes water is something else, and on an imagined twin earth they do not have water at all, but something else, let’s assume, like XYZ. The structure of Adams’s account is that the meaning of ‘good’ does not give us the nature of ‘good’; what is given by the meaning is, instead, a role that the nature is to play. He limits the claim to the meaning of ‘good’ in certain contexts, those in which ‘goodness’ is naturally interpreted as meaning excellence. Adams says that the role assigned by ordinary understanding to the good is that it is an object of pursuit. But here arises an objection: we don’t always pursue the good, and sometimes what we pursue is not good. Adams denies that this is a problem for his theory, because it’s not one of those theories that analyze the nature of the good as consisting in some fact about our desires. The role of our desires is only to help fix the signification of our value terminology to a property or object that has its own nature independent of our desires. The chief contrast between Aristotle and Jesus has to do with what we might call “competitive goods.” A competitive good is one where, in order for one person to have it, another person has not to have it, or to have less of it. The chief good for Aristotle couldn’t be honor, because it would be to be honored by the best people. The chief good is activity in accordance with virtue. But being honored in this sense is a competitive good, and can be lost. Most of the time Aristotle seems to think the chief good for human beings usually requires wealth, power, and honor. To have the relevant virtue (like magnanimity) you have to be worthy of great honor and deem yourself worthy of it. What various passages indicate is that the chief good for a human being requires power over others. The claim is not simply that the competitive goods are good, but that they are necessary for a highly admirable life. The Gospels portray Jesus as overturning this sort of view, and the rest of the NT follows suit. Aristotle says humility is the state in which persons are so low they should not even aspire to virtue; in the NT we are told in humility to consider others better than ourselves. Or consider the command to love your enemies. This overturning of the world’s values is a central Christian theme, and is abundantly discussed in the literature. There is an important and difficult question whether the difference of Christian virtue, as described in these texts, shows more continuity or discontinuity with pagan virtue. Can we know, by human reason, unaided by special revelation, what is the best human life? If we’re born under the evil maxim, we tend to prefer our happiness to our duty. It suffices for now to say that there is not enough truth in most people’s desires most of the time for those loves to fix the reference of the term ‘good’ and its related family. This claim is not shown to be true just because Jesus disagreed with Aristotle. It’s possible general revelation is progressive, after all. It’s also true that the culture of large parts of the world has been shaped by the Abrahamic faiths. But there’s also been a return to Greek ethics in some. The central point is not about whether most people get most of their evaluations and preferences right most of the time. Even if they do, this is not the right way to fix the reference of ‘good’. As RMH pointed out years ago, this approach to fixing the reference by consensus is inherently relativistic. We end up saying that the reference of ‘good’ is fixed by whatever most people say it is. We ought to have a way of being able to say that most people most of the time are wrong, even if it is not the case that they are. If we take the consensus model, we lost such a way. Adams is aware of a problem here, and wishes to maintain the “critical stance.” Thus he says the truth behind Moore’s Open Question argument is that for any natural empirical property or type of action that we or others may regard as good or bad, right or wrong, we are committed to leave it always open in principle to raise evaluative or normative questions by asking whether the property of action-type is really good or right, or to issue an evaluative or normative challenge by denying that it is really good or right. Hare, though, thinks this openness extends only to limited questions within what Adams takes to be the overall massively reliable field. Adams is not willing to concede that the framework as a whole might have been largely distorted. So how can we be constrained in what we take to be a divine command by our conception of the good, if not by consensus or actual belief and desire? Those within each religious tradition in which there might be a divine command have to use the resources of that tradition about what is good. The Abrahamic faiths share a commitment to the distinction between general and special revelation. This is one of the relevant conditions: a divine command theorist can say that what we take to be a new divine command has to be screened through both the general and the special revelation about the good that has already been given. Hare now asks if we, by bringing in human nature in this way, have abandoned the distinctive mark of divine command theory, and simply turned it into a species of natural law theory. The argument has not been that the moral law is natural law strictly speaking, but that the content of at least two of the Ten Commandments has been turned into presumptions against taking God to be commanding us to act in a certain way, and these presumptions are taken from what fits human nature. For Scotus, the first table is natural law strictly speaking (except for the “seventh day” prescription). The command to love the neighbor would also be natural law strictly speaking, since we are necessarily commanded to love God, and to love the love of God, and therefore to love the neighbor’s love of God. But Scotus believes in the possibility of reprobation, so there is a restriction needed: we are commanded to love the love of God in the neighbor “at least by anyone whose friendship [God] is pleased to have.” We can and should have a defeasible presumption that we and the neighbor are not among the reprobate, because the judgment is God’s and not ours. Moreover, since we are necessarily commanded to love God, and since human nature is specified in terms of this end, we can say that God necessarily commands what fits human nature. But Scotus does not think that any of the specific commands in the second table can be deduced from this. There are two different possible kinds of deduction from what fits us. There is a deduction of a presumption in two cases, but in no case is there a deduction of an absolute prohibition. A second point is more important. The argument so far doesn’t imply the moral law or moral obligation is deducible from human nature even in the case of the prohibitions on killing the innocent or on lying. There can be a presumption against doing something and still not an obligation not to do it. Here we return to Adams and Darwall and their notion of the social character of obligation, which we can accept with one qualification. The social character is that we are obligated to someone, or by someone. [Murphy objects that, whereas tort law always has a tortfeasor and a victim, and so has a “bipolar” structure, this is not true of criminal law, which can have a “monadic” structure in which there may be no victims at all (God and Moral Law, 126). If this is right, we should not say that obligation as such is bipolar. But there is good reason, Hare thinks, explored by Darwall in The Second-Person Standpoint, ch. 5, to think that moral obligation is more like tort law in this respect.] The opposite of “obligatory” is “forbidden.” It is not at all an easy matter to delineate this social character, but the general point seems right. The qualification is that we should not derive the agent’s obligation from the goodness to the agent of the relation that would be damaged by violating the obligation. That would be another form of eudaemonism. But that aside, suppose we start with the way Adams puts the basic idea, that, where there is a violation of an obligation, one “may appropriately have an adverse reaction to it.” The question is: Who is it whose appropriate reaction is here in question? Human beings have limited information, and limited sympathies. Even if we did know the preferences of others, we would tend to prefer the preferences of some people to the preferences of others in a way not countenanced by the moral law. We might ask, why should we assume that the person to whom we are accountable in an obligation is the same as the person who generated the obligation in the first place? There is a tradition of argument, in Kant, for example, and also in Suarez, that God is legislator, executive ruler, and judge, and that moral law assumes that it is the same person who carries out all three functions. This tradition lay behind the discussion of God’s authority in Ch. 2. In Kant’s terms, the author of the law (which we repeat in our own wills) has to have a holy will, the administration of the law has to be by the “supersensible author nature,” and the judge has to be able to see into our hearts; and there is one person, and it is the same person, who does these three things. We might ask: “Why could it not be three different persons?” After all, in human societies it can be an advantage to have these functions divided. Hare is content to make this modest claim: If there is only one God, that one God is the most appropriate person for these three roles. If this argument works, or something like it works, we can say that moral obligation requires not just a presumption against doing something but an obligator, and that deducibility from human nature and non-divine facts alone therefore has to be denied. Now we can return at last to Murphy’s dilemma. The first horn proposed that, if God is free to command what God wants, the non-moral and non-divine facts are inert. But if, as Hare has argued, God is constrained though not determined by facts about our nature, these facts will not be inert. The second horn of the dilemma proposed that it is odd to say that we are obligated not by the maximal set of non-moral, non-divine facts (where these include facts about our nature), but God is so constrained. The response is that this is not odd at all. We and God are different. Both God and we are constrained by non-moral and non-divine facts, and neither God nor we are obligated by those facts. But we are obligated by God’s commands. God does not require an obligator at all, but is the obligator. Even in those cases of moral law (if there are any) in which God’s command is constrained by the non-moral, non-divine facts, we are obligated not by those facts but by God’s command. Recall Adams’ answer to the famous arbitrariness objection to DCT: God’s command is not arbitrary in the contemporary pejorative sense because it commands what is good, but it has discretion over which good things to require. To make this picture work we need an account of goodness. Chapter 1 suggested that a person who says a thing is good expresses that she is drawn or attracted by it and says that it deserves to draw or attract her in that way. But now we need an account of the criteria for this deserving. Adams proposes a single criterion for when “good” means “excellent”: a thing is good to the extent that it resembles God. But while this fits many kinds of excellent things, it does not fit all. In particular it does not fit the goodness of natural kinds. Take two different species of plant that are different; there is resemblance to God in life, but also in such differences, but the differences aren’t differences in likeness to God. There’s a different goodness in the way a particular plant within a species differs from another. This is what follows from Scotus’s picture that we get more perfection as we move from genus to species, and then yet more as we move from species to each individual member, to the haecceity. Resemblance to God does not seem well equipped to explain all this difference in the good. Here are four plausible ways of thinking of the relation of this difference to God. First, God created it. This suggests not simply that God is the source, but that God delights in the variety; perhaps this is one of the reasons for the “very good” in Genesis 1. Second, these various beauties draw us to God. Chapter 1 claimed that what finally draws us and deserves to draw us is God and what draws us to God. This makes the account dynamic rather than static, and that is an improvement, because it connects better with the account of the meaning of “good,” which is based on the idea of being drawn. But the goodness of the variety does not reside only in its drawing us to God. It also does not reside only in its having been created by God, which would make the value too transparent to God and insufficiently intrinsic. The third way of thinking is metaphysically the most ambitious. Perhaps we learn about God from the creation in the same sort of way we learn about an artist from his or her work. It’s not that the features resemble him, but the work is, nonetheless, utterly characteristic. It manifests his aesthetic preferences and aesthetic personality, which is in a sense present in the work. Two different plant species might manifest God in slightly different ways. This is close to Adams, but different. Manifestation and resemblance are not the same because of this sense of God’s presence in the manifestation. A fourth picture might be that each kind of flower species, indeed each plant, is a part of the biotic whole, which God loves. This is different from the previous picture because it makes the value of the parts derive from the value of the whole. We can add that God intends a whole new heaven and earth, not just new humans as co-lovers, but a new creation. Perhaps non-human species have goodness in their destination just as individual humans do, though there are large difficulties with this view, such as dinosaurs. The moral law is good for humans because it fits human nature. Scotus says the precepts in the second table of the Ten Commandments are “exceedingly in harmony” with the first practical principles that are “known from their terms,” even though they do not follow from them necessarily. Scotus is saying that the second table fits our end, but is not deducible from it. He standardly describes this relation of “fit” in aesthetic terms. This account of goodness allows us to give some content to the way in which the good, at least the good for humans as humans, overridably constrains what we should take to be obligatory. This suggestion is partly the same and partly different from the one Geach made in his famous article about the good. He distinguished “predicative” adjectives like “red” from “attributive” adjectives like “good,” on the grounds that the meaning of attributive adjectives can’t be detached from the meaning of the nouns to which they are applied. He held that “good” in phrases like “good human” is a purely descriptive term, and we know its meaning just by knowing the meaning of “human” and “human act” and so by knowing what humans and human acts are for. Hare concedes that we do get a constraint on what we should take to be good for humans from knowing what humans are, and that this in turn constrains what we should take to be commanded by God. But Hare wants to make two points against Geach. First, the term “good” in “good human” and “good human act” has, in our ordinary language, more than a purely attributive use. For a Kantian a good human act is one that displays a good will, and this is defined in terms of the whole procedure of the Categorical Imperative. Hare thinks we should concede that “good” in “good person” is sometimes used attributively, and that in “good human being” it may be used both ways. Second, even the attributive use is more than merely descriptive. To ascribe a function to a chisel is normally to say how it is to be used, and to say that a chisel is to be used for cutting fine grooves in wood and is not to be used as a screwdriver is to make a prescription. Adams’ DCT needs a constraint on what we should take to be commanded by God in order to overcome the objection from arbitrariness. If God’s command makes something obligatory, should we think that we might be commanded, and thus obliged, to fly a plane into a skyscraper? No, says Adams, for this could not be the command of a loving God. What counts as “loving” is settled by ordinary valuation, for Adams, but Hare thinks this seems wrong, for reasons he’ll give later. But a related idea seems right: we should probably not take something as commanded by God if it does not fit the characteristic kind of loving of God done by a rational animal. This would imply a presumption against taking an innocent human life, though it wouldn’t rule out such a command and at the same time God changing the circumstances. Also, recall various ways Abraham’s context is different from ours (no life of Christ to emulate, for example). At any rate, taking innocent life is inconsistent with the feature of our rational-animal agency that features each of us going through a particular trajectory. This point comes helpfully into connection with the four Barthian constraints mentioned earlier. Our trajectories involve our being individual centers of agency, being in time, being free, and being language-users. This is often put in terms of our personal narratives. We don’t know in advance the good works God’s prepared for us, and God is free with respect to the route selected for each of us, and the duration of that route. God has discretion, but chooses in accordance with our good as pilgrims. But the question of what access we have to the nature of this good is a different one, though also an unavoidable one. It’s natural to assume the trajectory requires a full lifetime, so killing would be a premature termination, unless God were to indicate to the contrary. This gives us one example of a constraint from our nature on what we count as good, if we are to be able to respond to the divine call to be co-lovers. There is a form of argument here that can be extended to other examples. The form of argument is transcendental in the Kantian sense; it argues from the conditions of possibility of some fact that is taken as basic. Thus the argument from providence is a transcendental argument from the “fact of reason,” that we humans (creatures of sense and creatures of need) are under the moral law. The present argument argues backwards from the fact that we are recipients of God’s call to conclusions about what we (and God) have to be like to make this possible. But then it reverses direction, and asks what constraints are placed on what we can take to be divine commands by the fact that we are this kind of people. Now consider the proscription on bearing false witness. There is a plausible argument, this time from the last of the four Barthian constraints, that we are language-users. Our language is a system of external signs, used to communicate internal thoughts. But then we have to be able to assume that these signs are being used most of the time to communicate thoughts correctly. What is at issue here is not whether the thoughts communicated are true, but whether what is communicated corresponds to what is thought true. The plausible part of Kant’s argument is that the institution of language-using requires that we be able to trust that most of our fellow language-users are communicating what they believe to be the truth, or what they really want. So there is a presumption against telling a lie, because if anyone, anytime, with any degree of frequency, may lie, this undercuts the very institution of language, which is necessary for lying as well as for telling the truth. In the case of lying, as in the case of killing the innocent, we are left with an overridable constraint. Consider by contrast the exceptionless kind of constraint offered by the “new” natural law theory, which proposes eight basic goods, as Porter puts it, “elemental enough to be regarded plausibly as self-evident to all and yet provided with enough content to provide an immediate basis for practical reflection.” The dilemma that Porter poses for this kind of theory is that either the list is sufficiently general to be self-evident, but then it does not have enough content significantly to guide action in the exceptionless ways the theory proposes, or it is specific enough to guide action in this way, but then it is not self-evident to all. To pose this dilemma, however, is not to deny that goods such as life and truth pose some constraint on moral obligation. Darwall then objects to Pufendorf that, by acknowledging that God’s command presupposes our competence as free and rational responders, he has in fact undermined the need for bringing in God at all in understanding moral obligation. If we can already form such a community ourselves as mutually accountable free and rational persons, a Kantian “realm of ends,” appeal to a divine sovereignty is unnecessary. But Darwall does not see that the relevant competence here is the competence to bring about what Kant calls the highest good. In the Groundwork Kant introduces the notion of a kingdom of ends because he has an important point to make: the kingdom of ends has a king. The sovereign can only be God, because only God is without needs and with unlimited resources adequate to the divine will. Korsgaard prefers to talk about a “republic of all rational beings,” but Mackie is more accurate when he says “but for the need to give God a special place in it, [the kingdom of ends] would have been better called a commonwealth of ends.” If Chapter 1 is right, the kingdom needs a sovereign who can bring about the highest good, the union of happiness and virtue, which is the end given us by morality itself. Kant agrees that we belong together with God in a kingdom of ends, but he also holds that God is superior to us because God runs this kingdom, and judges us according to whether we live by the laws of this kingdom. When we think about rightness and wrongness, we’ll think in terms of a court, and the consciousness of an internal court in the human being is conscience. The judge has to be considered as a figure outside the individual, because he has to be pictured as having qualities that are inconsistent with being human at all. Kant says pointedly that this pictured judge may be actual or not, but must be conceived as one who scrutinizes hearts (a role humans can’t play) and who imposes all obligation (this is God’s role as legislator) and who has all power to give effect to his laws (this is God’s role as executive). Kant is conceding here that, even though I can entertain within myself the thought of what an actual God would prescribe and the verdict that an actual God would reach, and I can repeat in my own will the legislating and the verdict, I cannot repeat within my own will the omnipotent supervision of the world. This shows what kind of equality we do and don’t have with God. We humans do have, on this picture, equal membership in the kingdom of ends with God. We, like God, make the moral law; in our case we make it by making the law a law for us. This is what Kant means by “autonomy.” He does not mean that we create the law. We will in our wills what God wills for our willing. The answer to the first puzzle, in Kantian terms, is that the realm of ends needs a sovereign. The second puzzle about the Barthian constraints is whether there are constraints from the limits of our understanding on what God can command. Adams takes a robust, common-sense approach: Normally communication between human beings requires using words how they’re understood. In communications between God and us, though, we have to be careful about assuming that God does not say to us what goes beyond our current understanding. Barth defends an account of language according to which the same words do not mean the same things used by us and by God, but God enables us nonetheless to understand God’s language by the gracious sending of the Holy Spirit. Hare suggests, more modestly, that some distance between what God means and what we understand is at least congruent with, if not required by, our freedom and our being in time. Sometimes Jesus’ words may have been a bit unclear to his followers. God reveals enough about destinations (which he sees clearly but we only see glimpses of) to keep us going, but does not reveal the whole thing, because God is respecting our need to work out how to live. Kant puts this by saying that God did not intend us to be marionettes that could be manipulated by pulling their strings. Here’s an analogy: we may use the word “cherish” in our wedding vows without understanding what it involves until much later. A third puzzle is that the model of a human command suggests that the recipient has to be able to recognize that she has been commanded by the commander. Is this necessary for accountability? Hare thinks it is not necessary even in the case of human commands—as when various rules in place can be authoritative without our knowing who signed off on them originally. In any case, it’s true about divine commands that their audience may not know their origin. God, in the divine legislative authority, promulgates the commands, but those to whom they are promulgated do not necessarily know that it is God who has promulgated them. This is a version of the doctrine of general revelation. Even if people do not know God is the author, they can still be accountable to what has been revealed, and they can still have obligations. They may even have a sense of being commanded without knowing who it is that is commanding them. We can receive divine commands in the words presented to us by people we know, or even people we don’t know. Nathan played this role for King David. Allowing for this sort of divine communication requires discretion and discernment, and it’s possible to get it wrong, but the answer to the third puzzle is that the people who receive divine command don’t always know that it’s divine command they are receiving. In sum, this chapter tried to do three things. First, it gave a general account of prescription, and then distinguished five different kinds of divine prescription, giving examples of the main kinds. Then it isolated one kind, divine command in the narrow sense that generates obligation and that’s tied to the authority of the commander, and it discussed what “authority” means here. Finally, it mentioned some features of our own agency and God’s that follow from God’s commanding us, and it discussed in a preliminary way some puzzles about these features. 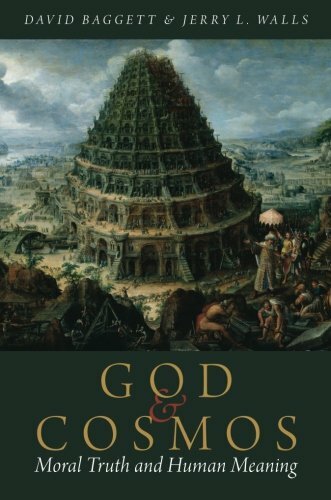 Robert Adams' Finite and Infinite Goods: A Framework for Ethics has contributed to a revival in divine command theories. 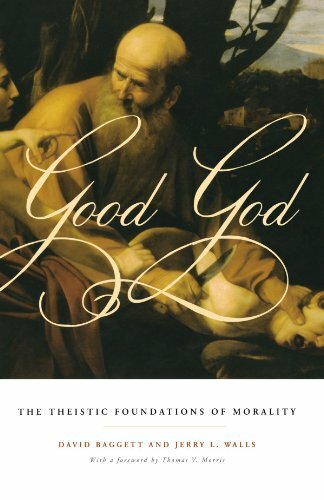 In his review of the book, David Baggett writes, "In this substantive book, Robert Adams distills and crystallizes much of his previous work into an impressive two-tiered ethical framework: a divine nature theory of the Good and a divine command theory of the morally obligatory. The result is an expansive, integrated, and sophisticated ethical theory that merits great attention. If you're interested in reading a robust defense of a divine command theory of ethics, the book is well worth the time. If you'd like to read the rest of Dr. Baggett's review, you can find it here. Photo:"Light Rays" by Z. Mohiuddin. CC License.